Sometimes it's easy for me to get stuck in a pattern of teaching reading in a way that's impersonal. It's not hard to see why. There are so many forces--and not all of them bad--that influence what I teach and how I teach it, but when I remember to bring myself into my reading lessons, I'm a better teacher. My students are more engaged in what we are learning because I am more engaged in what we are learning. I'm a reader. My students are readers. And some of my best teaching moments come when I am real with my students about my own reading, when I draw inspiration from the texts I read, when I am authentic with how I feel about a text, and when I am transparent about my own thinking and strategies. 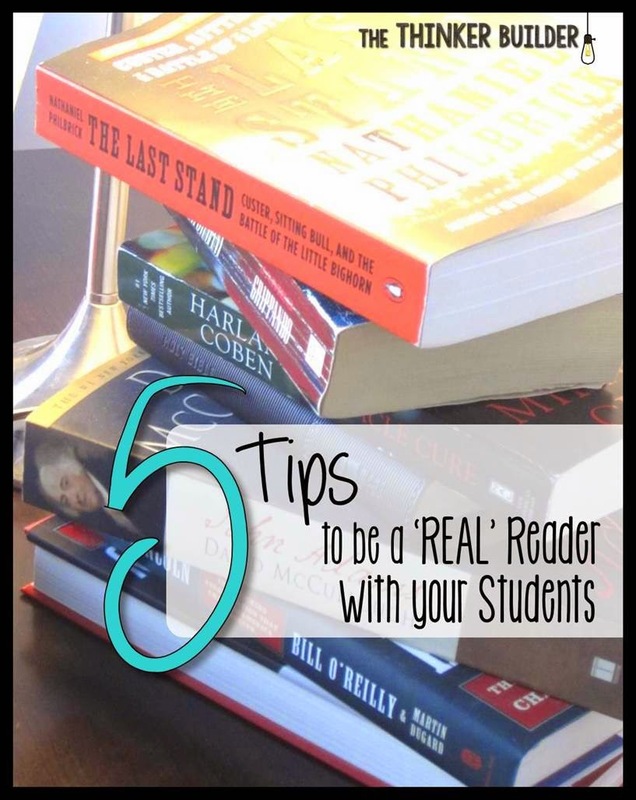 So here are a few tips to help you infuse more of your own reading-life into your teaching. Reading is such an ingrained part of so much of our everyday life that much of it can go unnoticed. Take an inventory of all the different things you read: sure there's books, magazines, and newspapers, but what about blogs, text messages, menus, manuals, lesson plans, emails? It's a really long list. 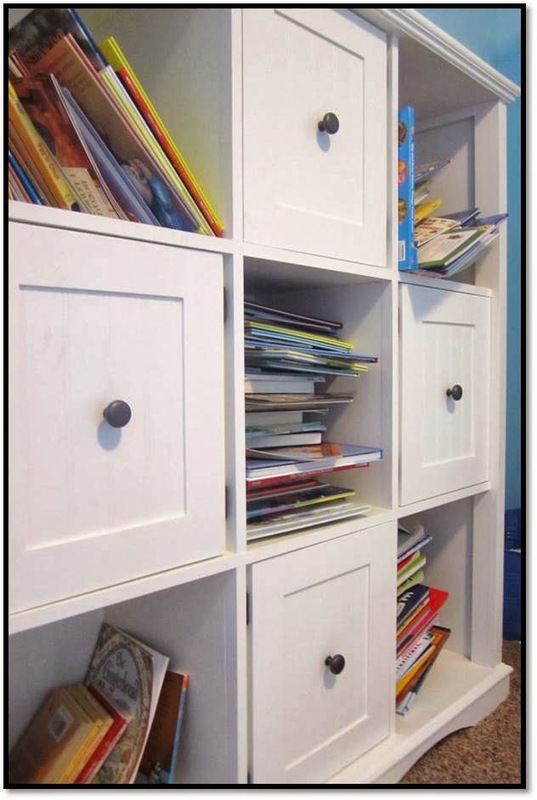 Try taking a stroll through your home, noting the places where you keep books and other forms of reading. It's a bit absurd at my house. Just thinking about what you read brings it to the forefront of your mind. 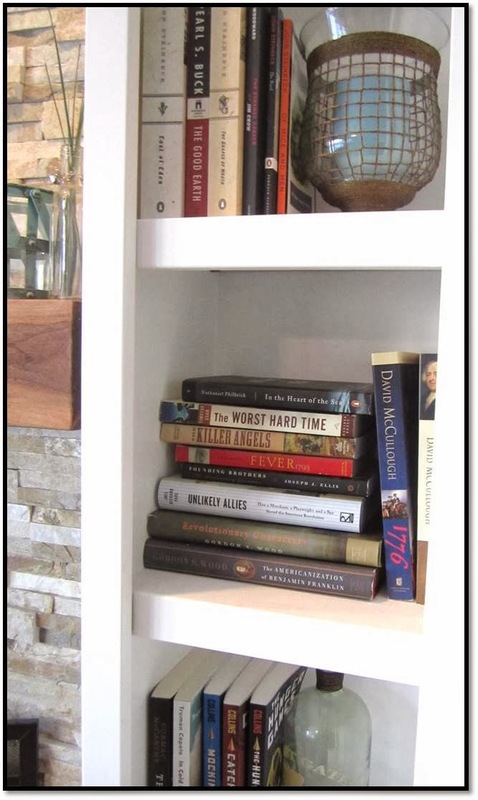 It may sound simple, but for me, when I'm more aware of the types and amount of reading I really do, it does a couple of things: it heightens the value of reading even more, and it "primes" me to talk about my reading habits to my students, whether in informal conversation or as part of a lesson. Give a little more attention to what you like to know and find out through your own reading. Why do you read? Of course it depends on the situation. I read funny books in a funny voice to my 5-year-old daughter at bedtime. Why? I love to hear her giggle uncontrollably. I read the instruction manuals to things. Why? I've learned my lesson about what happens when I don't. I read anything that Lee Child writes. Why? I'm addicted to finding out what his main character will do next. I read educational articles and books. Why? I like learning and growing as a teacher (and sometimes because my principal tells me to read it). When I consciously identify my own purposes for reading, it becomes much more natural to do it with my students, and to do it well. Helping students set a purpose for reading gets them focused not only on reading, but also on the types of thinking in which they are about to engage. Start identifying the reading strategies that you do so naturally. Making personal connections to the reading strategies that I teach not only gives me real-life examples to tell my students, but it also lets me tinker with the strategy in my own mind, to break it down and look at it from different angles. For example, I remember sitting on my couch, starting a new book that was recommended by a friend, and dozing off before even finishing the second page. I jerked my head up, backed up a few sentences, and tried again. Hmm... an example of monitor your understanding. I had realized that meaning was breaking down, and instead of continuing, I backed up and reread. Telling students what a comprehension strategy is and what it means is fine, but modeling how I really do it, and not in a scripted, formulaic way, but showing how I actually use the strategy, what I actually say in my mind to help understand the text, is powerful. Students, even young ones, are fellow readers. I try to approach my reading lessons with that perspective. I want them to be honest and frank about their thinking, not to just say what I want them to say. Therefore, I need to be honest with them as well. I don't pretend to love every single piece of text. I do try to select texts that I truly admire, and make sure to let my students know it. But being honest about what I think of a text, even bits and pieces of it, sets a precedent that analyzing and critiquing what we read is something strong readers do, and that we may not always agree with our fellow readers. Sometimes I think my students forget that I am a real person. I'm sure you've seen a student at the grocery store give you that blank, confused, "you-don't-belong-here" look. I really try to be intentional about sharing my life with my students, especially when it relates to reading. Walking the class down the hallway and chatting to the first student in line about a book I just checked out from the library, swapping favorite-series opinions during a reading conference, recommending a book to a student that I just finished reading with my daughter... these seemingly random comments and stories go a long way to build a layer of trust and integrity to this whole "reading thing." It also instills the habit of relating my own reading behaviors so that I do so during lessons, too. I'm not just trying to teach students to become better readers because it's my job. I'm doing it because I love to read. Need some ideas on how to help your students get deeper into the texts they read? I share 7 easy ways right right HERE.